Yum! this makes Friday even better. Cheers to 2013! 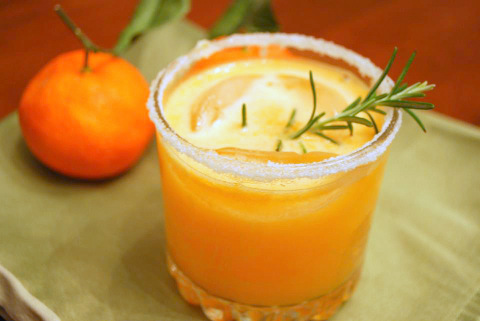 This looks so refreshing and I LOVE rosemary in cocktails! Hi Katherine! It went well. I still have one day left. I was supposed to write something up, but have been crazy busy! This sounds fantastic! I'd love this for a winter brunch drink - YUM!